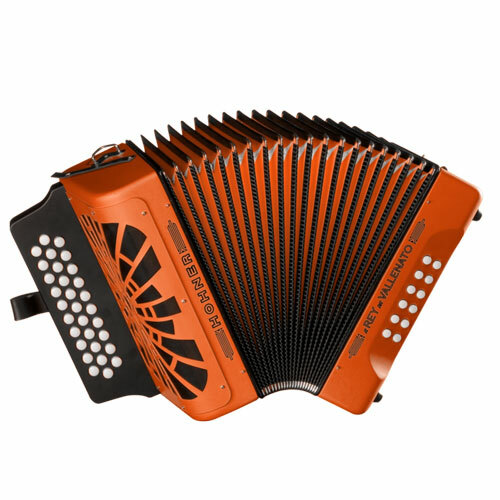 This accordion expands HOHNER's economy line to a 3-voice model crafted especially for the Vallenato musician. It features a handy adjustable bass-strap and a wide open treble grill for enhanced projection. Available in yellow, orange, red, purple and black.